This autumn we see a lot of corduroy and velvet coming back in the collections. 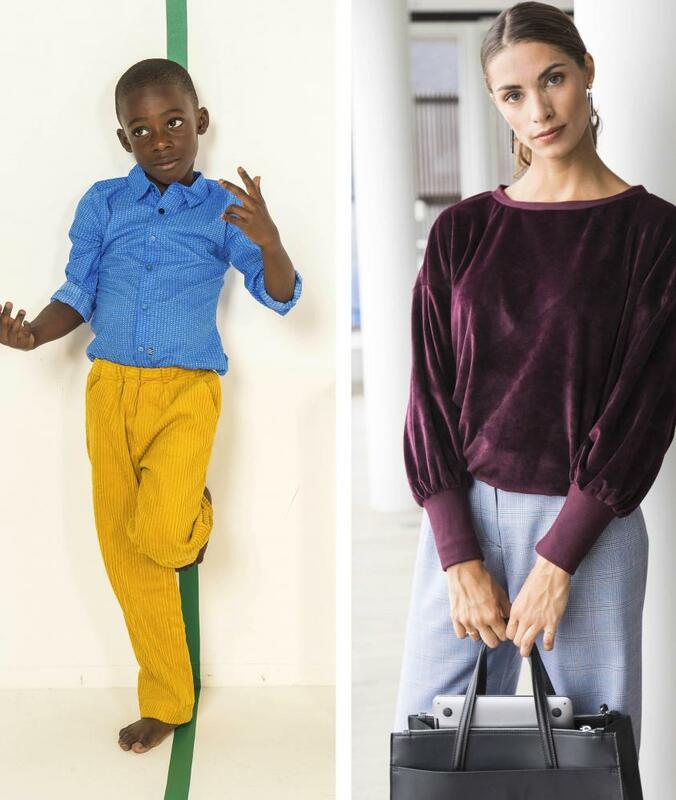 In our new issue you’ll find these cool Magnus Trousers for boys, in mustard coloured rib velvet. We made the Charlene Trui in a beautiful plum-coloured velvet. Perhaps it’s not the most prestigious but this fabric does have a glamorous, festive appearance. 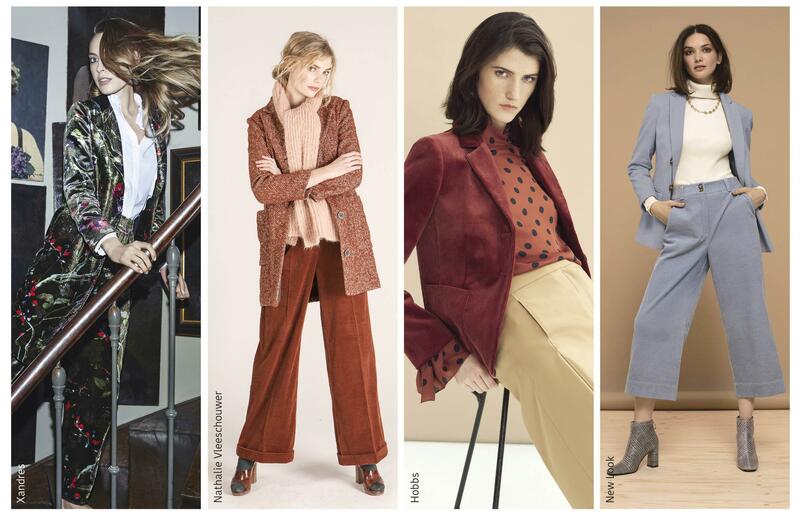 We’re seeing a lot of corduroy and velvet coming back into the collections for this autumn. Velvet (or velour) is the ‘in’ fabric that you’ll see more often in an evening jacket or even a dinner jacket. Because… it’s stylish and timeless. The hottest colours are black, royal blue and dark green. Corduroy is the casual little brother that often appears in the autumn in burgundy or rust-coloured blazers, trousers or skirts. The fabric has a vintage appearance that perfectly ties in with the spirit of the times: your look is a mix and match of different style elements from a wide range of eras. A pair of corduroy, 1970s ared trousers pair perfectly with a basic, white t-shirt, lots of gold jewellery and a pair of eye-catching trainers. The Seventies meet the Eighties meet the Nineties. It’s literally a look for all times that you can wear anytime, anywhere. This makes corduroy and velvet functional fabrics that you can easily integrate into the rest of your wardrobe. Would you like to have this autumn trend in your wardrobe? Find a store in your area and buy the new La Maison Victor!